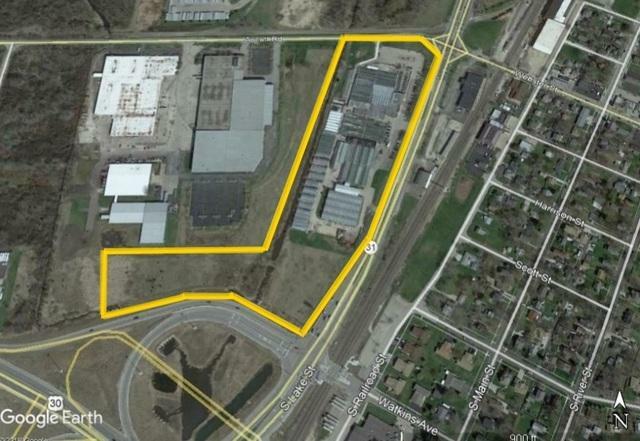 14.76 Acre Commercial/Industrial Property For Sale!! Located at the NWC of Rt. 31 and Rt. 30. Currently an operating greenhouse floral operation. 1700 linear ft. of Rt. 31 frontage. Re-development potential - for Commercial/Light Industrial. Three existing curb cuts, two on Rt. 31, one on Aucutt Rd. Daily traffic counts, 17,30 on Rt. 31, 27,800 on Rt. 30. Listing provided courtesy of Dolan & Murphy, Inc..